Fox Brothers Alarms is experienced in keeping your valuables safe and secure with extensive CCTV knowledge and experience. We carry and install an extensive array of home security cameras to secure your work or business. Protect your family and home using Fox Brothers video surveillance. Greater peace of mind comes from knowing there are quality CCTV cameras strategically placed inside and outside your home. Best of all, with Fox Brothers home security camera systems, you can watch video from any room in the house on any connected TV or dedicated monitor. Since our clients are usually on-the-go, you can keep an eye on your home with remote video security using any web-enabled computer, smart phone, or iPad. Ask us for a free demo! We carry and install an extensive array of security cameras to secure your home or business. Greater peace of mind comes from knowing there are quality CCTV cameras strategically placed inside and outside your home. You can watch video from any room in the house on any connected TV or dedicated monitor. We know you are usually are on-the-go; no worries – you can keep an eye on your home or business with remote video security using any web-enabled computer, smart phone, or tablet. Indoor home security dome cameras are a great choice for observing common areas of the home, secure rooms, and baby nurseries as well. 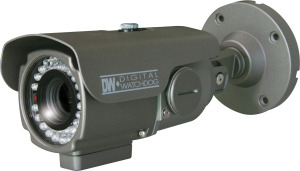 Connect to a CCTV video monitor in the home or to a DVR, shown below. Outdoor security cameras can easily provide viewing of high traffic areas outside the home, or secure areas where intruders on your property are not welcome. 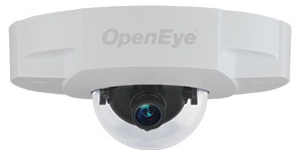 There are many security camera types, lens ranges, and options to achieve the desired result. The mounting location is critical to achieve good camera angles, shielding from direct sunlight glare, and elements. Fox Brothers alarms can help you decide on a system to fit nearly any budget. Honeywell IP security cameras allow direct viewing over secure devices via the Honeywell Total Connect platform and can also interface into a viewing system in the home. Click here to see the Total Connect system. 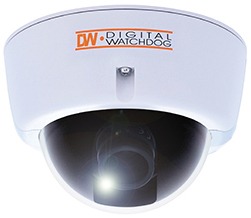 Wireless cameras can be a great choice if running wires is difficult or less than desirable. 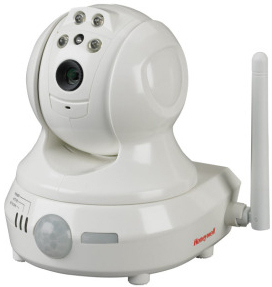 Wireless cameras like the Honeywell unit pictured provide great temporary or otherwise unfeasible viewing locations for your home. If you require viewing of your home security cameras in low light or total darkness, then IR CCTV cameras could be your best choice. 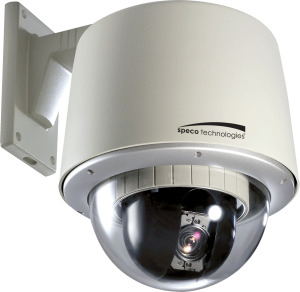 Infrared cameras are a type that spans across domes,IR,IP, and outdoor and allows these cameras to see in low light or no light situations for events taking place out of view. This is the same technology law enforcement uses for catching suspects after dark. Pan, Tilt and Zoom motorized security cameras provide the ultimate in surveillance viewing flexibility. PTZ cameras are often more costly than other CCTV options, yet much more flexible. These are usually the only security cameras that allow the natural “zooming” in on a picture to see greater detail. A DVR (Digital Video Recorder) or NVR (Network Video Recorder) from Fox Brothers allows the recording of events viewed on security cameras in your system. This can be through internal storage or through network storage. You can decide which type of recorder you want us to install. Regardless of the storage, you can keep an eye on what is happening in and around your home whether you were there or away when it happened!